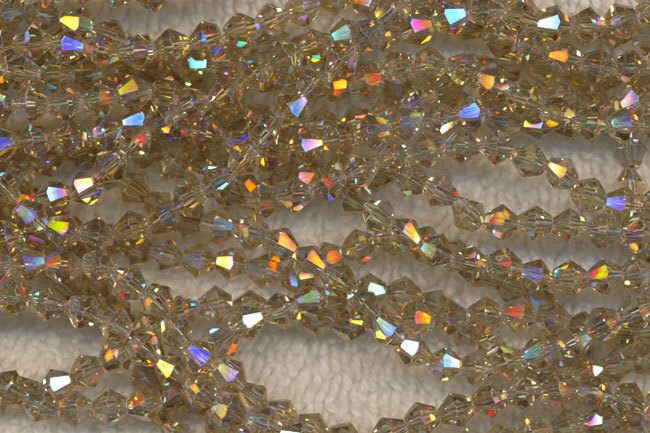 CLEARANCE 4mm Light Brown Topaz AB Bicone Crystal beads. These faceted Chinese Angelic Crystal glass beads are sold by strand containing 120 beads. Compare to Swarovski Crystal Bicones - Style 5301 - 3 strands min.